Entertainment plays a very special role in everyone’s life. It is necessary so as to get rid of the stress and start afresh. Entertainment can range from cracking jokes to reading books. It is entirely an individual’s choice that whether he/ she consider reading books as entertainment or watching TV shows for entertainment. Informative entertainment, on the other hand, is always a plus. It’s like learning while playing/ enjoying. IITians are known for their knowledge and technical skills and are very proficient in their work. They get a thorough knowledge of things but this does not, in any way, mean that they miss out on the fun factor in their lives, be it on campus or off campus. This has been proved by the IITians time and again. 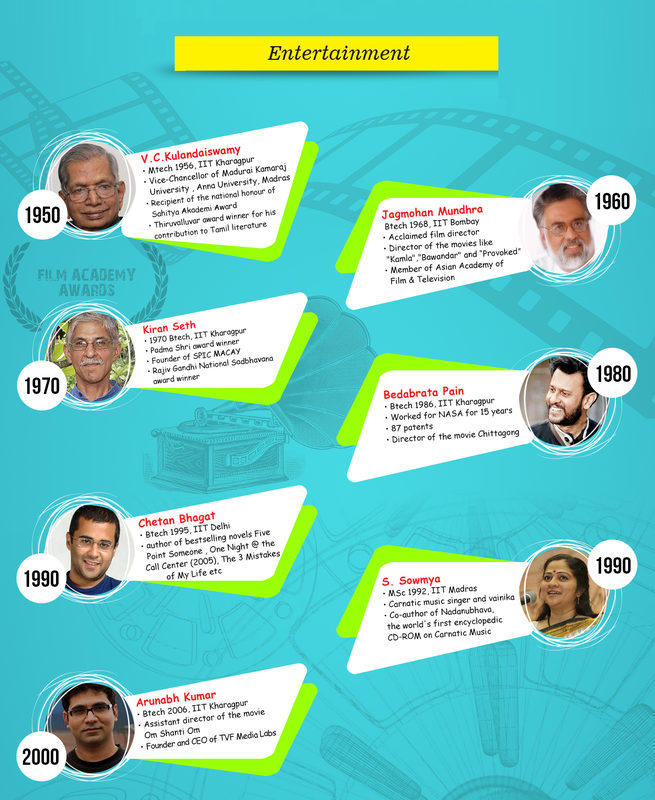 Many IITians have become a prominent name in the entertainment industry ranging from making movies to writing novels. They have set an example in front of all that Entertainment can also be pursued as a profession by well educated people belonging to elite institutes. This has in-turn paved way for the growth of entertainment sector and has indirectly helped in economic growth too.